At Wilsonville Chrysler Dodge Jeep Ram, we believe that every driver near Wilsonville, Woodburn, and Sherwood should be supplied with a dependable vehicle that’s built to last. As part of our commitment to making your car-buying experience as enjoyable as possible, we’ve designed a dealership that has the essentials to keep your automobile performing at its best. With the assistance of our service experts and our keen insight, you’ll drive confidently knowing that you’re seated inside a vehicle that’ll remain by your side for years to come. Of course, the first step of any vehicle shopping experience is to find an automobile that’s perfectly suited to your lifestyle. Luckily, our car dealer near me exceeds your expectations by stocking our showroom with a wide variety of trucks, SUVs, sedans, and other models that are equipped with the stability you need to tackle a busy day. Once you set foot into our showroom, you’ll browse through a lineup of cars, all of which come in a selection of trim levels and body styles. That way, you’ll easily locate the model that’s ready to handle your daily commutes and upcoming road trips. 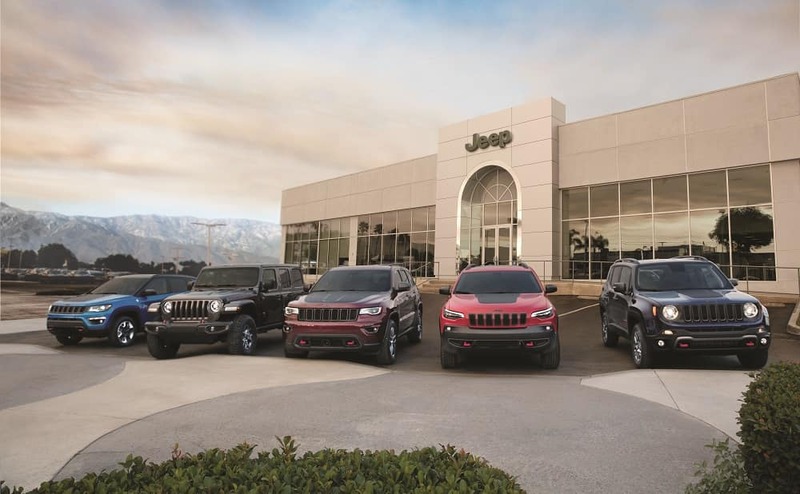 So, regardless if you’re interested in something like the iconic Jeep Cherokee, the tough Ram 1500, or any of the other options at our car dealership, our helpful associates will guide you to the model that’s right for your needs. After you’ve finally located the car that’s ideal for your family, it’s time for you to visit our state-of-the-art service facility. 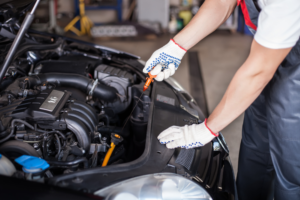 Here, our squad of highly trained mechanics utilizes a collection of advanced tools and high-quality parts to perform every repair, replacement, or checkup. In addition to our knowledgeable mechanics, we make caring for your car even easier by offering early bird hours and Saturday service. Thanks to those handy options, you’ll always have time for stop by for some performance-boosting automotive maintenance. Looking for a replacement part to keep your vehicle running smoothly? If so, search no further than our well-equipped parts departments, where we offer an inventory of Mopar® performance parts. Plus, our team presents ever-changing specials on different parts throughout the year, so be sure to check out parts incentives before visiting us for your next appointment. To reserve your vehicle’s next checkup, all you have to do is head to our convenient service scheduler and select the date and time that’s best for you. When we’ve received your request, one of our representatives will reach out to you to confirm your service appointment. Visit Our Car Service Areas Today! There’s nothing better than a car dealer near me that’s dedicated to customer satisfaction. So, if this sounds like what you’ve been looking for to keep your vehicle healthy, visit the team at Wilsonville CDJR. On this page, you’ll find a list of the areas that our dealership serves. Simply choose the link that lists the town or area closest to your home. From there, you’ll dive into more information about our team and some of our most popular services. If you’d prefer to speak to a member of our staff directly, don’t hesitate to shoot us a message or stop by our showroom today! We’re looking forward to working with drivers near Wilsonville, Woodburn, Sherwood, and beyond.